Support this site by buying a CirKits kit. Radioactivity is a topic that gets a lot of coverage in the media. It is something that we cannot see, smell, or hear. The same can be said for most forms of electricity and electromagnetic radiation. Tools such as volt/amp meters and oscilloscopes give us a view into the world of electricity, a geiger counter allows real-world radioactivity to be measured in a similar fashion. There is much folklore, information, and mis-information online concerning radioactivity. Some real-world experience can help to demystify the properties of natural and man-made radioactive materials. A practical use for a geiger counter is to locate low level radioactive sources in and around the household, then move them from your living space. Examples of radioactive materials that can be found inside the house include rock/mineral colections, certain pottery glazes, gas lantern mantles, antique watch/radio dials, certain welding rods, and radon gas. Common smoke detectors typically contain a tiny piece of radioactive americium, which emits alpha particles. Very little alpha radiation eminates from the detector because it is blocked by a metal shield. The life-saving capabilities of smoke detectors far outweigh the negative effects of their radioactivity. Keep in mind there is, and has always been, a fair amount of normal background radiation from naturally ocurring radioactive minerals in the ground and the radon gas produced by the decay of the same minerals. Above-ground atomic testing in past years has increased the background radiation levels somewhat, but this is mostly a concern for people living close to nuclear test sites. 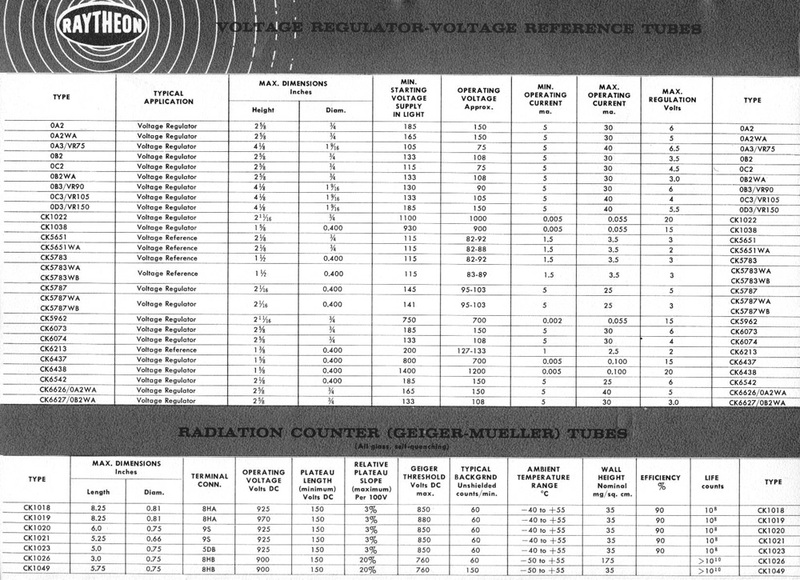 Here are some projects that can improve and extend the capabilities of readily available surplus geiger counters such as the Victoreen CDV700. Back to FC's Electronics Circuits page.